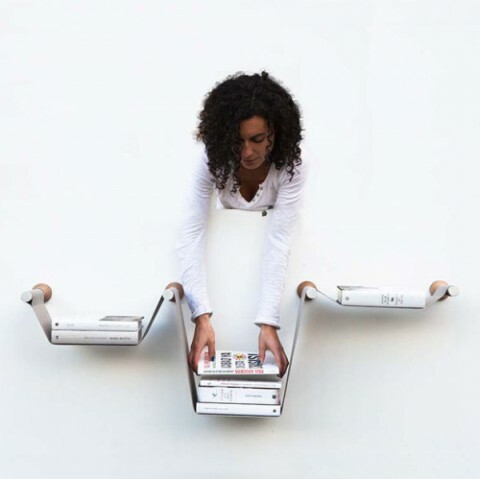 The Level Wall Shelf is most probably more sculptural than useful, but it sure is stunning. By Barcelona based designer Roger Moliné. I love it – beautiful design. Each shelf needs its own self-leveling (omg, gyro-shelves) surface (probably with rollers on either end actuated in order to maintain levelness). A little over engineering and there you have it. Hi, i feel that i noticed you visited my website so i got here to return the favor?.I am trying to find things to enhance my site!I guess its adequate to use some of your concepts! !